All good things must inevitably come to an end…even vacations. And, so of course, did mine, with a thump and a bang and the arrival of David or Danny or whatever that last hurricane’s name was because August 29th is so long ago it seems like a lifetime. 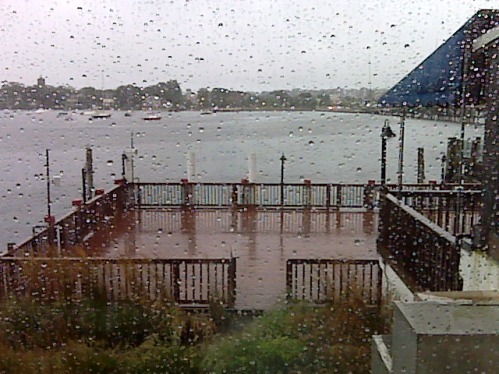 But with this as my parting breakfast view, I’m really not so sad because if the weather was good, well then, I’d really have been depressed about leaving. And so I hop in the Lincoln and drive the 160 miles home which should have taken 3 1/2 hours but took 4 1/2 because 138 isn’t paved for at least 5 miles, and with the shocks on this car (which is 18 years old, don’t ask), I really didn’t want to have another $1800 replacement– yes that’s what they cost on a Lincoln from the 20th Century. But alas, I ramble. And I get home, terrified of the scale so I don’t step on it for a day or two (at least until I figure I stop eating like the hoggette I described in the last post). So Monday comes, and oh my God, I have only gained a pound! And I’m like freaking out and celebrating and think that Mother Nature has given me a new found metabolism so I can continue eating the way I did last week (with the slight memory lapse that not once did I spend the day in front of a laptop because it was spent walking around exploring mansions and downtown Newport. Well, what a shocker then when this morning Mr. Scale revealed a TWO pound weight gain, and I’m like OH MY GOD, WTF? So I decide that I’d best get my New Balances on, get the ipod and do a quick run around Gramercy and I am so stressed out from my new job as CEO, that it doesn’t really take very long to go about 2 miles (even with the two stops to check that friggin’ buzzin’ Blackberry). But anyway, I feel pretty proud about getting back on track, so I scroll to my “WALKING TRACK” which is a bunch of calm, pretty music that every one who is 16 hates. 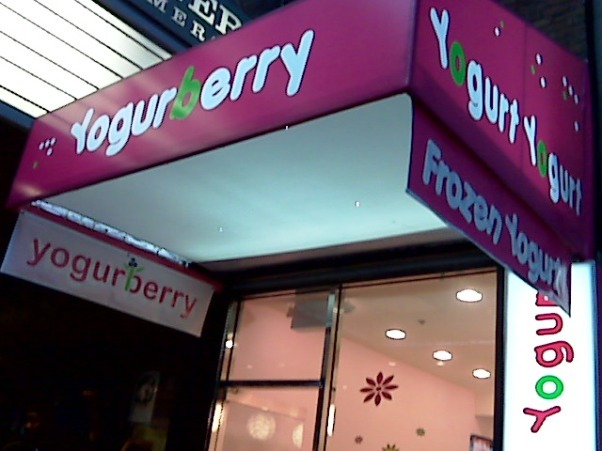 I start my path back to East 31st, via 3rd Avenue, and I notice with amazement, a NEW yogurt place. 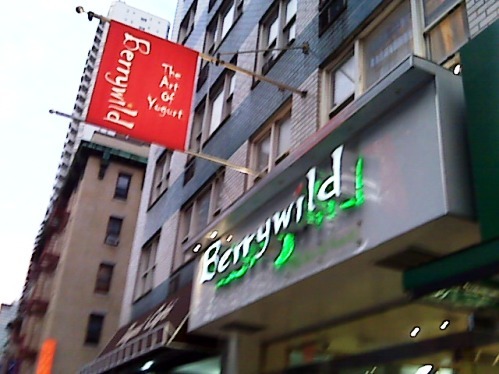 and I figure that if I am a true aficionado, in order to serve my readers, I’d best do a taste test of Berrywild, just so this post has SOME value. And I do. 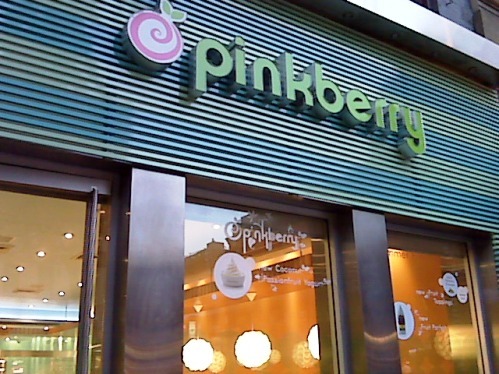 And the Mocha is fabulous (even if it is just a sample) and I tell them I’ll come back after dinner, (don’t want to spoil my appetite) and they nod and smile and give me the frequent Berry Card. A run, a snack, a free lo cal snack AND a frequent Berry Card. I’m feeling pretty good. So good in fact, that I brought Bella back to use that frequent Berry card. So I could just have a taste of hers. Just a little taste.